Escherichia coli is one of the many species of bacteria present in the human gut. Immigrants new to our country undergo a lot of changes in daily life in a fairly short amount of time, from cultural practices to language, and even in their gut bacteria, a study suggests. According to Health Day, a change in gut bacteria — which influences not only digestion, but overall health — could be to blame for obesity and diabetes among immigrants residing in the United States, per a study published in Cell. 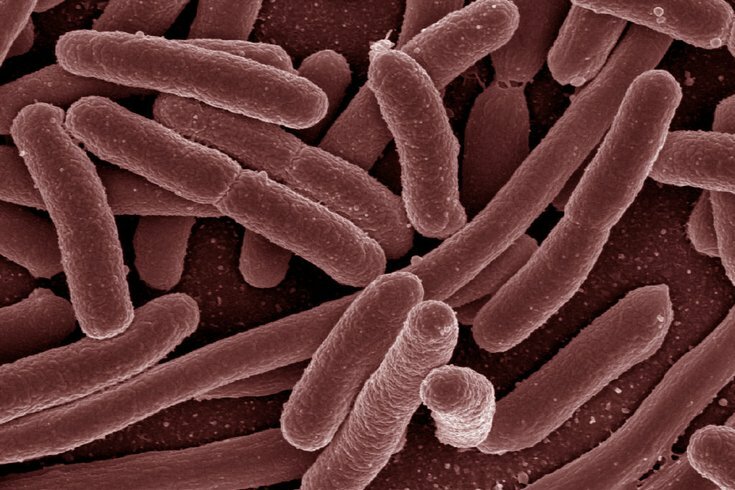 "We found that immigrants begin losing their native microbes almost immediately after arriving in the U.S., and then acquire alien microbes that are more common in European-American people," said senior study author Dan Knights, computer scientist and quantitative biologist at the University of Minnesota. But just because a person loses their original microbes and gains others doesn’t mean their gut has regained its equilibrium. Instead, it creates a loss of diversity in the gut — and you want major diversity in there. To complete the study, researchers compared the gut bacteria — also known as the microbiome — of four groups: Hmong and Karen people living in Thailand; Hmong and Karen people who emigrated to the United States; the children of those immigrants; and white Americans, who served as the control group. "We don't know for sure why this is happening. It could be that this has to do with actually being born in the U.S.A. or growing up in the context of a more typical U.S. diet," Knights said in a journal news release. So, when you move to a new country, you not only pick up a new life, but a new microbiome to boot. While this sounds simple enough, like an internal evolution, it’s actually quite complicated because it creates a domino effect of changes in your gut: a change in microbes often leads to a change in the enzymes you carry, which could impact what kind of food you can digest and how your diet interacts with your health. While a change in the microbiome isn’t always a bad thing — because heck, we’ve got a doctor specializing in doing just that right here in Philly — the study authors discovered that it’s not so good for immigrants, as it can lead to obesity.